Colin from Ayr on the west coast of Scotland arrives at Newbiggin Golf Club after 4 years as the Golf Operations Manager at Slaley Hall. Colin, previously to Slaley Hall was Golf Services Manager at the Royal Golf Club in Bahrain, which has a championship course designed by Colin Montgomerie. 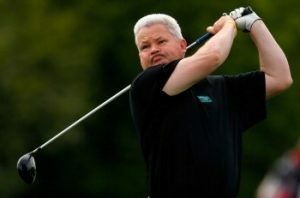 In 1987, Colin made history when he became Britain’s first YTS PGA Golf Club Assistant at Ayr Belleisle, and his progress since has taken in a who’s who of golf clubs including Turnberry, Royal Troon, Crieff, Loch Lomond and the St Andrew’s Links Golf Academy. Colin qualified as a PGA Golf Professional in 1994 before adding the qualification of Director of Golf from Birmingham University to his impressive CV in 2014.